Creamy Chicken Pot Pie - Kosher In The Kitch! 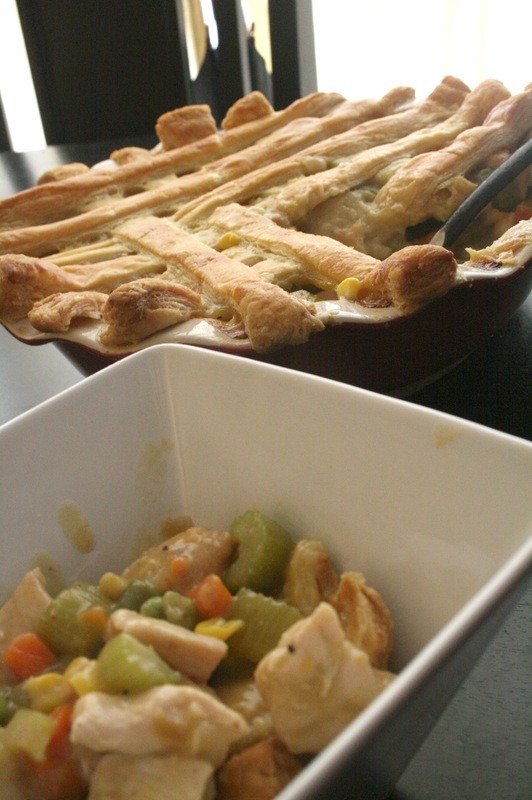 Creamy Chicken Pot Pie - Kosher In The Kitch! My husband loves chicken pot pie however his only reference for it is the frozen kind you find at the supermarket! 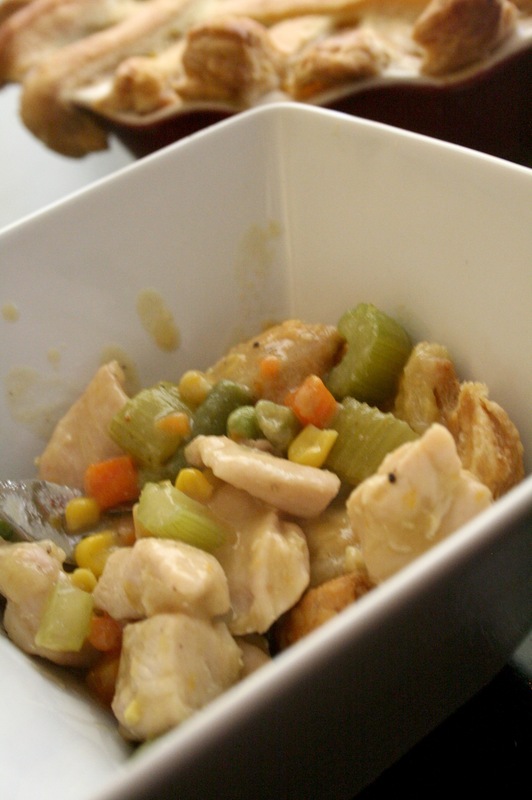 I knew I had to remedy that and so I called my sister Tova for her easy, classic recipe for creamy chicken pot pie. She uses leftovers from her soup on Sunday night, however I never have leftover soup after shabs, so I cooked chicken breast cut into cubes. If you don’t like the classic veggie mix of peas, carrots and corn you can use broccoli, potatoes and sweet potatoes cooked and cubed. Also, if pressed for time you can throw the mixture into a ready made deep dish pie crust and top with puff pastry. Take 1 sheet of puff pastry and press into bottom of baking dish, poke several holes in it and bake on 350′ for 15 – 20 minutes. Meanwhile, saute onion, add chicken. Cook until no longer pink. Remove from heat and set aside. Then add veggie mix and celery to pan and saute for several minutes before adding the chicken back to the pan. Add broth and flour, and combine well. Season with salt and pepper. 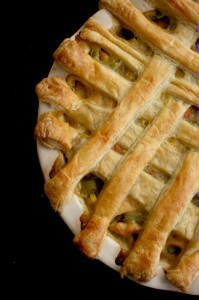 Place the chicken and veggie mix into baking dish, top with pastry dough and cook on 350 for 20 – 35 minutes until filling is bubbly and crust is golden brown. I substituted leek instead of onion…delicious! Thanks for the recipe! Hi Aliza, not sure what went wrong. Feel free to email me nina@kosherinthekitch.com and I will do my best to help you out! To make the filling thicker, I substitute 2-3T corn starch for the flour. It comes out perfectly.